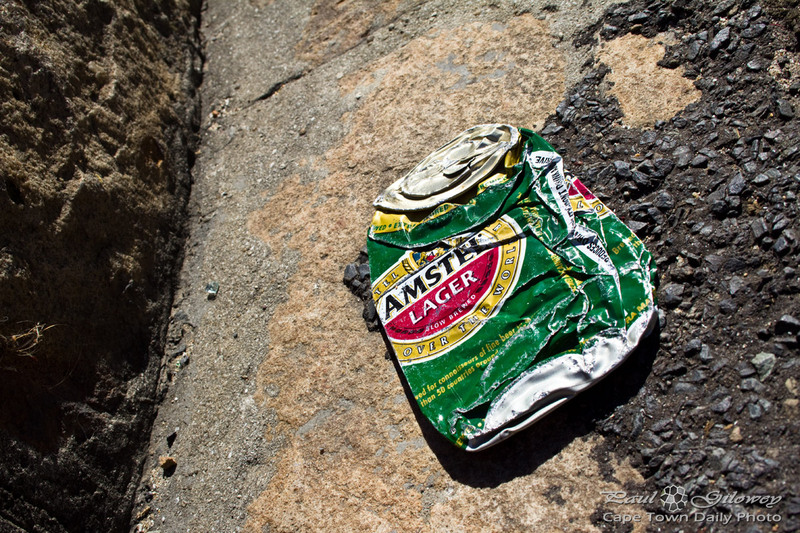 Although I'm not keen on it, loads of my friends drink Amstel Lager - its generally a pretty well-known beer in South Africa. When Kerry-Anne and I last visited Paris together we stayed in a little hotel that had a huge Amstel sign outside it's doors. I found it amazing how something familiar, even a sign of a beer that you're not even partial to, helps make one feel a little more settled. I just hope that some day someone will invent cans with a 1 month half-life. Not because it would encourage us to drink them faster, but rather that we wouldn't end up with cans like this one. Posted in General and tagged beer, roads on Friday, 30 March, 2012 by Paul.